Psychedelic Felinity? It's Groovy, Baby. It's National Cat Day, Baybeeee. LAKE SHORE DRIVE In The Windeee Citeee. Havin' Yo' Mind Blown By It's Renowned Beauteee. Spiraling Out On The Acid Winds Of Yo' Own Destineee. And Mouths That Speak To Meee. Now See, That's What The Heck I Get For Listening To Jim Morrison and The Doors All Day. Happy National Cat Day To All O' My Fellow Cats Out There. Make Life A Stone Groove, Everybody. 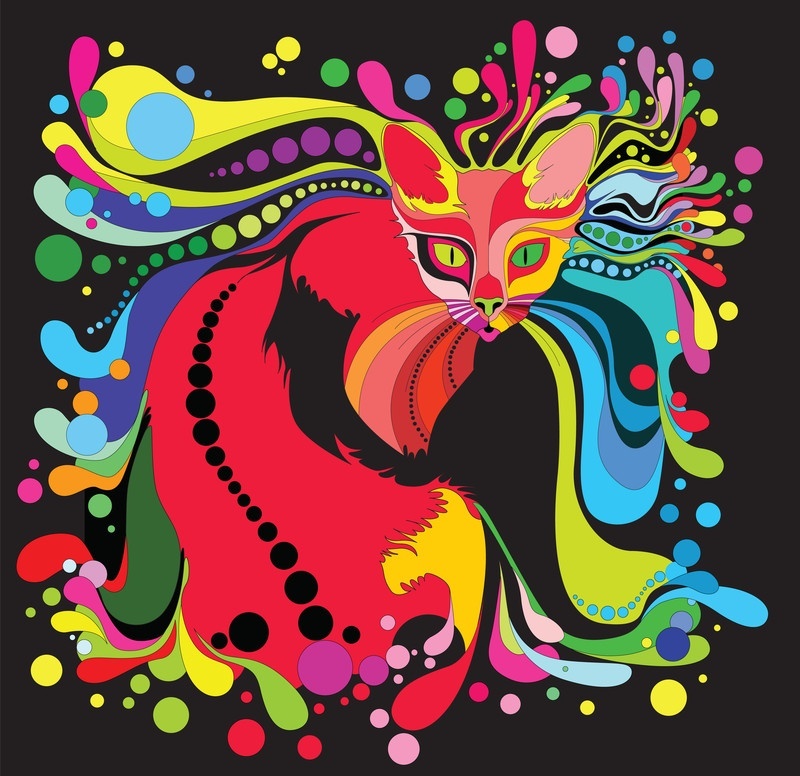 Psychedelic Cat Art by May141K Is Featured Courtesy Of The Black Jaguar Music Company.